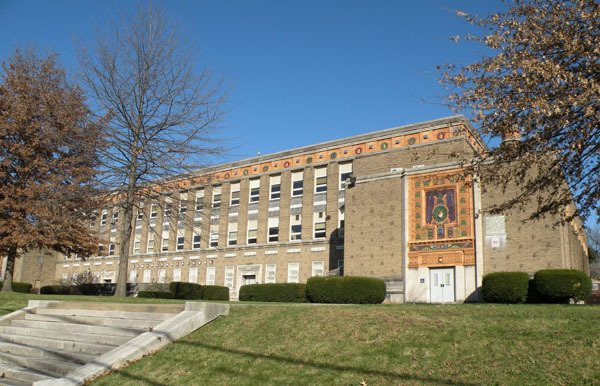 Lincoln–Lemington–Belmar is a neighborhood located in the northeastern section of the city of Pittsburgh, Pennsylvania, and spans the Allegheny River. The population of this community in 2010 was 4,883. Lincoln and Lemington were former separate neighborhoods in the northeastern section of the city. Belmar was a neighborhood atop a steep hill that overlooked the city on Tilden Street. Bordered by Homewood to the south, Larimer and Highland Park to the west and Penn Hills to the east, the neighborhood has some of the highest elevations in Pittsburgh. In fact, downtown Pittsburgh, which is 8 miles away from this community, is visible from many parts of Upper Lincoln. Lincoln–Lemington–Belmar is generally subdivided at Lemington Ave into two parts, “Upper Lincoln” and “Lower Lincoln.” The oddity of this community is that it is on both sides of the Allegheny River. The part of the neighborhood that extends across the Allegheny contains the Waterworks Mall and St. Margaret Hospital, a UPMC hospital. This area is commonly thought to be Fox Chapel but is in fact part of the city of Pittsburgh. The neighborhood is made up of mostly single family brick “Pittsburgh Box” type homes, and due to the steep nature of many areas in this community, some parts of the neighborhood have a rural feel to them. 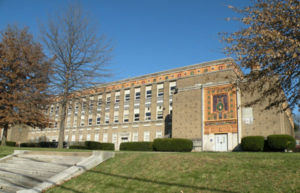 An active community group, the Lincoln-Lemington Community Consensus Group, was founded in 2014 to promote community development and support this Pittsburgh neighborhood. Their mission statement is to: establish and maintain a collective community in the Lincoln-Lemington neighborhood of Pittsburgh that promotes neighborhood beautification, safety and security, economic development, political involvement, and political accountability in order to ensure that residents have a constructive and majestic quality of life and build a sustainable future for the neighborhood.